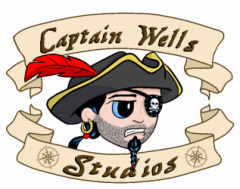 Captain Wells Studios (CSW): Andy tell everyone a little bit about yourself and your art. Andy: I’m a lifelong video game fan who grew up playing NES, Commodore 64, and PC games. I’ve been playing video games as long as I can remember, and my family got our first video game system when I was around 4 years old. Most people view retro games as a fond memory, but I never really stopped playing them. I’ve never considered myself much of an artist, or taken any art classes, but around 2005, I decided to pick up painting as a hobby. I’d always been fascinated with pixel art, so after doing some free-form abstract work to teach myself the basics of how to use the materials I started experimenting with painting pixel art. I came up with the technique that I still use today: create a grid on the canvas with a pencil and a ruler, and then fill in the grid with different colors of paint to create familiar images from popular video games. CSW: You taught yourself to paint when did you decide to start selling your artwork? Andy: I started originally around 2005, but I didn’t really keep it up after I moved away from Omaha. Around 2012, I picked it back up and opened a Facebook page and an etsy store. I’ve been working on it regularly since then. CSW: So is all your work acrylic on canvas? Do you do any digital art? Andy: All of the pixel art that I paint is created digitally first. I use Adobe Photoshop, and a tool called the Pixel Grid to make an actual size version of whatever I’m going to paint, and the use that as a template. However, nothing that I would present as a finished product would be anything other than acrylic on canvas. 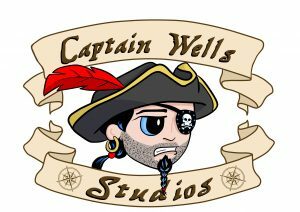 CSW: Why did you choose to do Pixel Art? Andy: What I do is incredibly specific. It’s not super marketable. The target I’m going after is incredibly narrow. I do it because I love the look of the finished product. I love the craftsmanship in creating them. I love the reaction I get when someone at a convention sees something they’ve never seen before. CSW: What are you working on now? Any cool, new things coming up? Andy: I’m focusing on two areas right now: showcase pieces and original pixel art. Showcase pieces because they are the pieces that will stop people from walking past your booth at a convention, and original pixel art because if it’s my own pixel art (as opposed to borrowed directly from an existing video game) then I can make prints which gives me a lower-cost option for selling at my tables. The last few tables I’ve run at conventions have had about a 50/50 split of originals vs “borrowed” pixel art. At the moment, I am working on a 16×20 painting of Chun-Li, which figures to be about the most complex piece I’ll have worked on to date. I’ve mixed about 27 distinct colors for it, and I probably have about 8-10 more colors to mix still. CSW: Wow that is awesome! That is also a lot of colors. How many different colors do you own and how long will a piece like this take you to complete? Andy: I own maybe 18-20 tubes of paint, and then I have a few hundred tiny small containers that I mix and store colors in. I label the individual containers to correspond to layers in Photoshop so I can keep track of which mixed color goes where in the design. CSW: Thanks for talking with us Andy. What are the links to any websites and/or social media you are on so people can get more of your artwork? I’m bad about updating all of these venues, but Facebook and Instagram are the ones I’m most likely to post content on. Thanks stopping by and getting to know another awesome artist! If you have any questions I would encourage you to reach out to Andy! I would also encourage you to follow his journey by following him on his sites!